Over the course of hundreds of millions of years our forest has evolved to become an intricate design of function and self-support. After researching anything and everything of plant evolution this week, I have become even more in love with these photosynthetic critters. There is much biomimicry to be learned from plants: urban design, architecture, engineering, and cooperation among individuals. Now, let’s talk plants! First, the importance of community: herbaceous, shrub, and canopy levels are put in place to create a sustainable environment for each individual and the community as a whole. (For the sake of clarity, herbaceous layers are typically knee-high and below, shrub layers are knee high to five meters, and canopy layers are anything above five meters). Within each layer, there are different sizes, shapes, and colors that allow efficient flow of resources. The colors of plants hamper the effects of sunlight, dependent on location of the plant. Dark leaves absorb more light than light-colored leaves. Consider the dark needles of the conifer. Known to be in areas where sunlight can be limited, the dark needles allow them to take full advantage of any sunlight they receive. The cactus, on the other hand, has no shortage of sunlight in the open desert. Typically light-colored, cactus stems reflect light, preventing them from scorching in the direct sunlight. Leaf size and shape differ among species, as well. Leaves with a higher surface area are directly related to increased cooling effects. Surface area is increased by features like prickles and hairs: cactus spines, roughness of an Ulmus leaf. Research has indicated that in urban shaded areas, there is an air temperature decrease of up to 2.5℃ and a surface-soil temperature decrease of up to 8℃ (1). Leaf and plant shapes are important in much the same way as color. Larger leaves are designed to absorb more light, but what is particularly interesting to this midwestern girl is the efficient shape of the cactus. The star shape, specifically, is linked to a more energy-efficient building design in architecture. There is less surface area to receive sunlight, this buildings require less air conditioning (less energy) to cool the building. 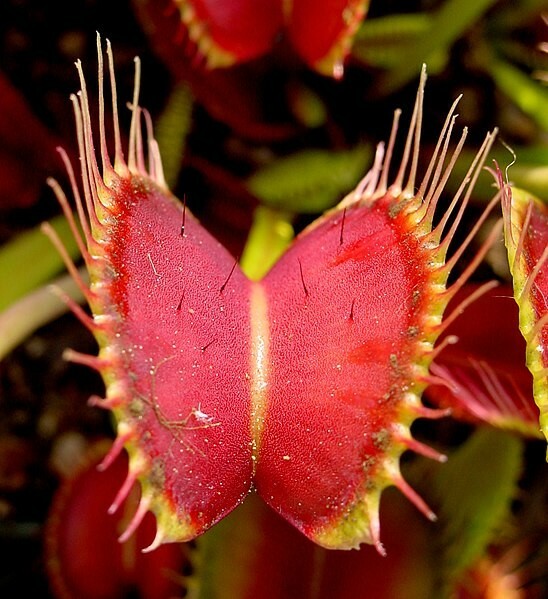 Biomimicry is using the plant communities for inspiration. Designing urban areas with community structure in mind seems to be on the mind of some city planners. In a forest, every ‘layer’ is utilized for the benefit of both the individual and the community as a whole. Waste is reduced because there is no waste. Every material is used in some way. This is just the structural level of urban design. There is a much deeper level that is being inspired by plant communities. The ecosystem services that they offer abound. Treehugger.com quotes Janine Benyus herself as saying, “The city would provide the same level of services as the forest next door.” In the interview, she also describes the ability of a city to “build fertile soil, filter air, clean water, sequester carbon, cool the surrounding temperature, provide biodiversity and produce food.” By city planners, engineers, and architects designing infrastructure in the same way and having a conscious use of materials, we may be able to reduce energy costs and limit heat islands. The prospect of inner cities being as aesthetically pleasing as a forest is an added bonus!